Deep within the Darigan Cathedral, Lord Kass has been using dark means of blackmail, bribery, and intimidation in order to gain power after Lord Darigan's downfall. After careful planning and many other questionable activities, Kass had finally gained power and made an announcement to all Darigan citizens that King Skarl, leader of Meridell was planning to attack them and they, the Darigan army, needed to attack first. This was of course not true as King Skarl had no intention of attacking the Darigan Citadel, Kass used propaganda to make it seem that he was the good one and Skarl was evil. After getting the approval of the Darigan citizens, Kass sent a Court Dancer to mesmerize King Skarl and stop him from taking any action and an army into Meridell to start the attack. Meanwhile in a village near King Skarl's castle, a small Aisha name Lisha had broken through the spell cast by the Court Dancer. She rushed to the castle and broke the spell, allowing King Skarl to finally take action. Immediately, Skarl summoned all men and women willing to fight for Meridell and formed a well planned counter attack. Meridell's forces pushed back Darigan's and a special team of soldiers, lead by Jeran invaded the Darigan Citadel. Unfortunately, Kass, armed with only a small skeleton force, decides to resist the attack and almost succeeds, but suddenly, Lord Darigan, thought to be back from the dead, shows up and battles with Kass. The two are evenly matched, but Lord Darigan gets the chance, knocking Kass to the floor, destroying his magic amulet and defeating him once and for all. 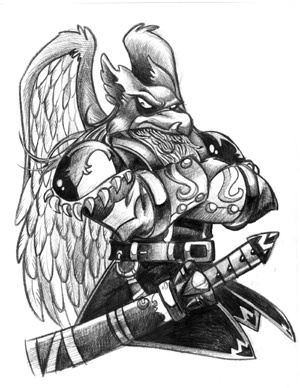 Darigan then returns to the main parts of the Citadell and calls back his soldiers. They immediately surrender to him and stop their attack on Meridell. Back in Meridell, Jeran is magically saved from the fight at the Darigan Citadell and is returned to King Skarl perfectly fine. In this war, you only had the option to fight for Meridell against the Darigan opponents. Unfortunately, there was a limited number of each enemy so if you were slow, you might not have had the chance to battle all the waves. All the information about these opponents in this war can be found at our Battlepedia. Underneath, it tells you what your rank is and how many points you received. There are two avatars you could receive by participating in this plot. View your own userlookup if you participated and earned a shield in the Meridell War. Visit Darigans Chambers if you were Darigan's side during the Meridell War. No longer available. The Snowager is awake. He'll be sleeping in 2 hours, 57 minutes.